Universal’s The Mummy is a dried out, moldy husk of creative bankruptcy that symbolizes the very worst in modern blockbuster moviemaking. Lazily pilfering the graves of the studio’s famous horror icons in a sweat-stained attempt to conjure up a quickie shared mega-franchise in the Marvel template, the film offers zero artistry or ambition. Instead it’s aggravatingly smug in its self-satisfaction, a feature-length Dark Universe series prologue that dimly assumes audiences will hunger for more after being fed two hours of filler. This isn’t so much putting the cart before the horse as it is strapping the bewildered animal to a teetering pile of wood, metal and nails. 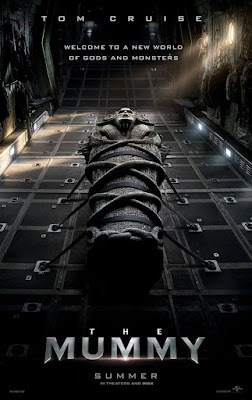 Thus, this iteration of The Mummy isn’t interested in being a spooky blast, or crafting colorful characters, so much as ham-fistedly foreshadowing future Avengers-esque crossovers. Similar to 2016 debacles Independence Day: Resurgence and Warcraft, what we have here is a textbook case of Phantom Sequel Syndrome, wherein payoff is almost entirely dependent on follow-ups which may or may not ever happen. It’s a terrible approach to producing entertainment and buries this otherwise wholly mediocre genre clunker under an unnecessary ton of embarrassing baggage. It inspires wistful nostalgia for Brendan Fraser’s bombastic adventures among the undead. If one were feeling charitable, credit is at least due to this Mummy for trying something new in attempting a female take on the archetypal antagonist. Named Ahmanet (the invaluable Sofia Boutella), she’s a vengeful Egyptian princess with designs on reawakening Set, the god of death (note: in actuality the god of desert, storms and violence, but whatever), who will help her conquer the land. Exhumed in Iraq by opportunistic treasure hunter/U.S. military man Nick Morton (Tom Cruise, doing what he can to enliven Underworld-grade material), she hitches a ride to London with designs on recovering the lost piece of a ceremonial dagger long buried beneath the city in a Crusader Knight’s grave. While Nick and his archaeologist love interest Jenny (Annabelle Wallis) fight to stay one step ahead of their vengeful soul-sucking enemy, the mysterious Dr. Henry Jekyll (Russell Crowe, in hammy Man with the Iron Fists check-cashing mode) lurks behind the curtain with a grander game in mind. It is peculiar how needlessly convoluted and confusing The Mummy is given the fact the general premise is ridiculously simple. Cobbled together by six credited writers, including director/producer Alex Kurtzman and heavy-hitters David Koepp (Jurassic Park) and Christopher McQuarrie (Mission: Impossible – Rogue Nation), the picture screams ‘committee-made.’ Showing little faith for the intelligence of its viewers, the screenplay shoehorns in constant creaky exposition – often repeating information learned mere moments ago – and, in both Jekyll and Jack Johnston’s comic sidekick, establishes two different spokesmen to tirelessly spew it. The dopey narrative technique proves futile, though, as the film never nails down its increasingly stupid mythology, or provides coherence to the dreary procession of awkward action sequences and plot beats inelegantly smashed together in the editing room. Perhaps the raging sandstorm of nonsense would be less tedious with engaging heroes and villains to latch onto. Alas, they’re all generic types whose alleged personalities are spoken of but never glimpsed. Alex Kurtzman was a disastrous choice to oversee this ramshackle product. A Hollywood mega-producer, and writer of tent-poles both fantastic (Star Trek, Mission: Impossible III) and execrable (Transformers 1 & 2, Amazing Spider-Man 2), he arrives with only one directorial effort under his belt in the completely forgotten 2012 dramedy People Like Us. For a franchise steeped in a rich history of fantastic uncanny imagery he’s a barely competent journeyman lacking the required panache to deliver effective scares or satisfying action. 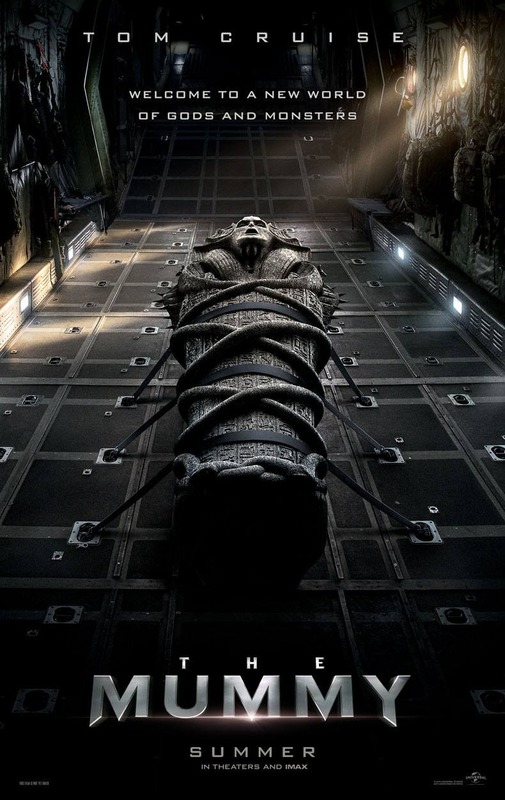 There’s nary a single shot in The Mummy that lingers in the imagination (it frequently looks inexplicably cheap), and even the much-ballyhooed zero-G plane crash scene only leaves you pondering how much cooler it might have been with a skilled eye behind the camera. Although it’s tempting to cut Kurtzman the helmer some slack and assume his work was compromised by relentless corporate interests, it’s impossible to neglect the sad truth that Kurtzman the producer was essential in forging this shaky blueprint, and already bungled the same crass business strategy with the second Andrew Garfield Spidey flick. How many times must Hollywood learn that an audience’s loyalty isn’t won on vague promises of future rewards alone? By sloppily serving the interests of too many masters, The Mummy fails on every conceivable level. It’s not fun, rousing or creepy, and easily the weakest and most unappealing variation on the ancient formula to date. Yes, even more so than Tomb of the Dragon Emperor. It’s undeniably pathetic the first chapter of the Dark Universe franchise can’t even make a convincing argument against tossing the boring old book back on the shelf. Transformer series are my favorite one.I like watching it again and again.And now after reading the reviews on the new part of Transformer I just can't wait to watch it.